Is the first Monday in August considered a statutory holiday? It depends! This year, the first Monday in August is August 6, and may be a statutory holiday in your province or territory. 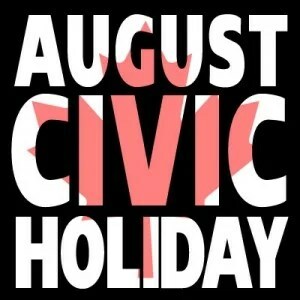 Although most commonly referred to as the “Civic Holiday” in Ontario, the holiday is referred to differently across Canada. For instance, in British Columbia, the holiday is referred to as British Columbia Day and in Manitoba, the holiday is named Terry Fox Day. The name of the holiday is not the only thing that differs between the provinces and territories; the legal status of the holiday also varies. That is, in some provinces and territories, the first Monday in August is considered a statutory holiday (a.k.a. public holiday), while in others it is not. In the provinces of British Columbia, Saskatchewan, New Brunswick and the territories of Nunavut and the Northwest Territories, the First Monday in August is considered the province’s national day and is a public (statutory) holiday. Employees get a day off with regular pay or public holiday pay. If the employee is required to work on the holiday, the employee must be paid regular wages and get a substituted day off with pay at a later date, depending on the province or territory. In the provinces of Ontario, Manitoba, Alberta, Newfoundland and Labrador, Nova Scotia, Prince Edward Island and the territory of Yukon, including for federally regulated companies, the First Monday in August/Civic holiday may be a discretionary day off with or without pay, but is not a recognized paid public (statutory) holiday under Employment/Labour Standards legislation. However, in some provinces such as Manitoba and Alberta, a discretionary holiday must be subject to the same rules as all other public (statutory) general holidays. When it comes to unionized workplaces, in provinces where the first Monday in August is not a statutory holiday, this holiday may have been negotiated in a collective agreement as a paid day off. 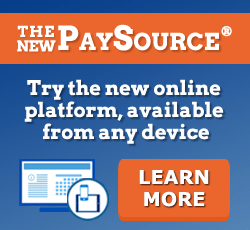 For specific requirements for your jurisdiction, consult PaySource®. This resource is always up to date with the latest payroll developments and offers dozens of exclusive time-saving resources. For those who do have August 6th off, have a great long weekend! Please note that First Reference will be closed on Monday, August 6, 2018, and therefore there will be no blogging on that day.